61cm x 122cm x 10cm (24" x 48" x 4") Natural Latex Foam is the most resilient material available. Safe 'n Sound mattresses cradle every curve of your baby with total support as they always stay resilient, never hardening or becoming lumpy. Specially moulded pin holes and millions of tiny air cells allow fresh air to flow through, ensuring better quality sleep for your baby. 63.5cm x 91.5cm x 2.5cm (25" x 36" x 1") Safe 'n Sound Safety Mattress Pad is cooler and safer to play on, providing peace of mind for parents even if the little ones fall asleep in their playpen. Also useful when travelling, the pad which enjoys the same benefits as our cot mattress allows the playpen to be used as a portable crib. For safety reason, we recommend a thickness of not more than 2.5cm. 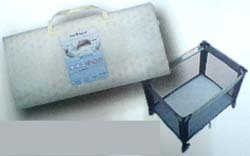 A thicker pad makes it easier for children to climb out of the playpen and also means a heavier load. 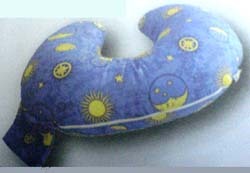 62cm x 38cm x 210cm (24" x 15" x 4") Our Latex Junior Pillow is specially designed to accomodate your child's growth. Super soft density latex cells structure make this pillow the best choice for your child's comfort up to his teenage years. Our Safe Sleeper is designed to position your baby safely while asleep. Studies have shown that alternately sleeping on the sides and back will minimize the risk of Sudden Infant Death Syndrome (SIDS), as well as help prevent head shape distortion. 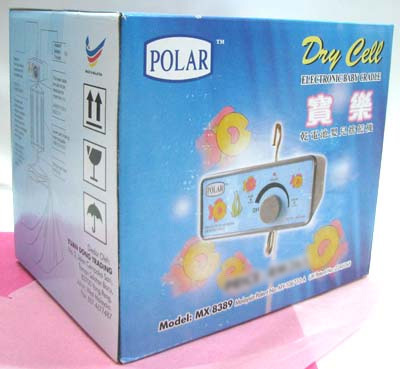 Also available as a travel set which includes a latex foam mattress pad to ensure comfortable and trouble-free sleep. Safe 'n Sound Nursing Pillow helps with the correct positioning of your baby while breastfeeding. It wraps around your waist for a secure fit while you feed your baby. 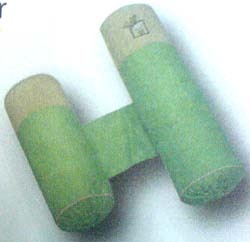 Also can be used as a prop for baby learning to sit up. *There are many other baby cot and relevant products available in Jessen Baby Centre. Please contact 603-79838499 for other brand / model products.